A good financial plan should empower you to get the most out of life. We believe people who are financially secure are better able to make decisions about their life. The paradox of money is that those who don't have a financial plan have to think about money all of the time; while those who have planned well, get to think about the things in life that matter more than money. Translation? Smart wealth management allows you to more easily live your best life. Broken down even further, it means having the assets to have the maximum amount of fun, whether that means traveling the world or spending time with your family. Long term fun (happiness and fulfillment) can also come from a plan that leaves a legacy for your children, grandchildren, or favorite charity. Our happiest clients are those committed to a purpose bigger than themselves, but they also don't mind a splurge occasionally to enjoy the journey. Helping you define your fun and, more importantly, your purpose while acquiring the funds to fuel them is exactly what we're good at. 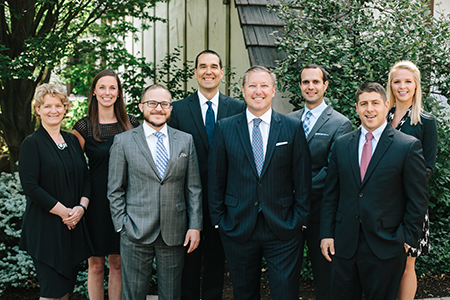 As a Top 10 Broker-Dealer*, we can work to help you develop a comprehensive financial plan. We have teams dedicated to Private Client Services and Advisory Investments. Count on us to get the most of your financial plan – and your life. Ready to have fun? We thought so. APRIL 2017 -- Ben Beshear, wealth management advisor with Northwestern Mutual, was featured in a recent Forbes BrandVoice article on the importance of adult children having the 'financial talk" with their parents. "When Families Talk Openly About Money, It Pays"